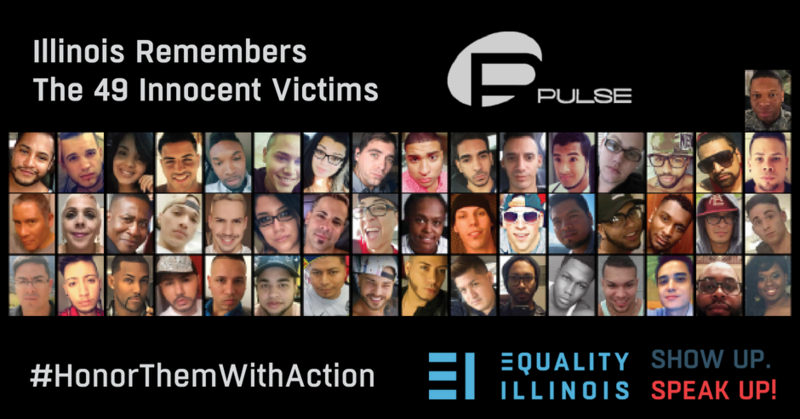 On the second anniversary of the Pulse nightclub massacre in Orlando, Equality Illinois joins with our friends at Equality Florida to issue a call to #HonorThemWithAction. Connect with organizations that take action to dismantle anti-LGBTQ violence, hatred, and discrimination. Help make your community and your state safer, better, and more equal. There were 49 murdered and 53 injured in the shooting, most of them Latinx LGBTQ.